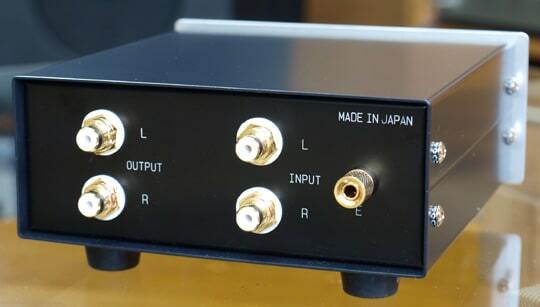 Fully featured monaural stepup transformer, designed for Miyajima mono cartridges, but very versatile and suitable for pretty much any other mono moving coil designs, including mono SPUs. Fantastically well screened, so this is a SUT that won’t pick up stray hum. Initially complicated to look at, but actually rather logical, and sublime sounding. Completely fantastic, beguiling sounds. UK Sales Only. 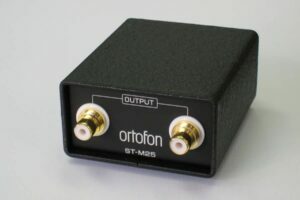 The ETR-MONO is a monaural stepup transformer, designed to be compatible with a great range of monaural cartridges, and not just Miyajimas, but of course it does work superbly with the Kotetu, Spirit, Premium and Zero monaural cartridges. Miyajima started out as a maker of monaural cartridges, and these are unequalled. The Zero Mono is quite possibly, in its somewhat limited role, the finest cartridge that money can buy. Miyajima know their stuff, and equally understand how to make a really good moving coil step up transformer. The ETR-MONO uses only the highest grade core material, permalloy 80, with paraffin caulking material. 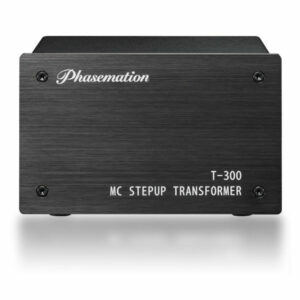 Why a special transformer for mono cartridges? Mr Miyajima wanted to make a stepup transformer for monaural cartridges; however the impedance of the monaural cartridge is low, and the output is high, so it was difficult to match it with the input impedance of the pre-amp. So, he had an idea – why not produce a step up transformer that can regulate gain and impedance, for ideal frequency balance, to the preference of the user? The ETR-MONO looks wildly complicated and takes a little time to understand. Gain is set according to the relationship of the “INPUT COIL” control and the central “OUTPUT COIL” control. To calculate the amount of gain, simply divide the ‘OUTPUT’ coil value by the “INPUT” coil value. So, if you have a cartridge with a typical coil impedance of 6Ω, 120 should be selected on the “INPUT COIL” control; the “OUTPUT COIL” is adjusted to give the best listening volume and if 3000 is selected, this equates to a gain of 25 times (3000/120=25) or 27.5dB. 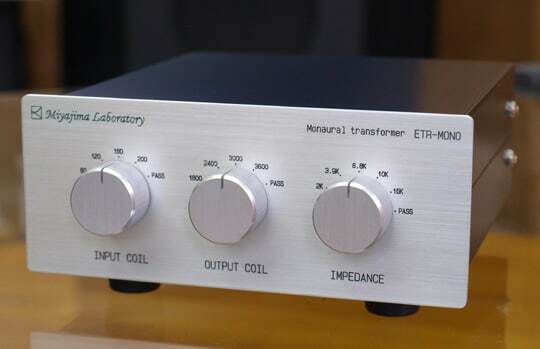 Different output coil settings have more effect on frequency balance than on gain per se, so the best setting is best determined by listening to a known mono LP with different settings. Simplistically, the higher the output coil setting, the softer the sound becomes. The right hand “IMPEDANCE” switch applies resistive loading to the transformer’s secondary winding. Its main effect is as a sort of tone control – for a gentler sound, lower the impedance setting. We disagree with Miyajima on the use of this and recommend leaving the “IMPEDANCE” control in the “PASS” position. These are suggestions only – your mileage may vary! Crumbs this thing is good with the Zero!